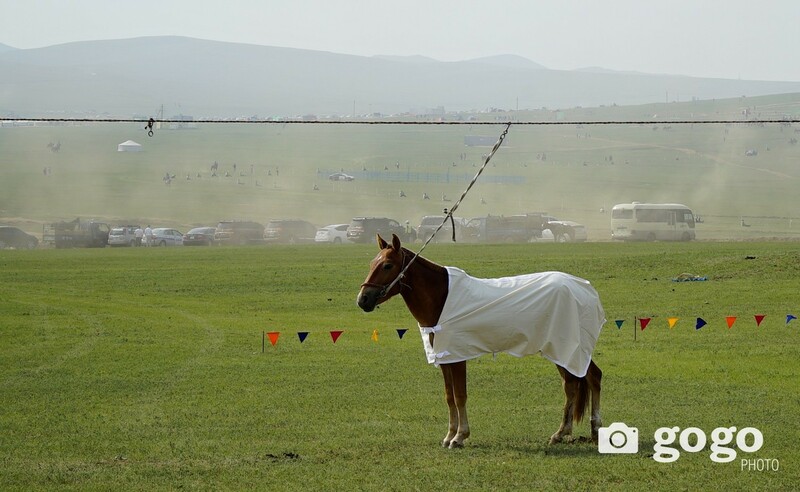 Mongolian archery is an age-old tradition like horse racing and wrestling. Historians take that Mongolian archery was mainly formed during the Hunnu Empire (ancestors of the Mongols, 209 BC). 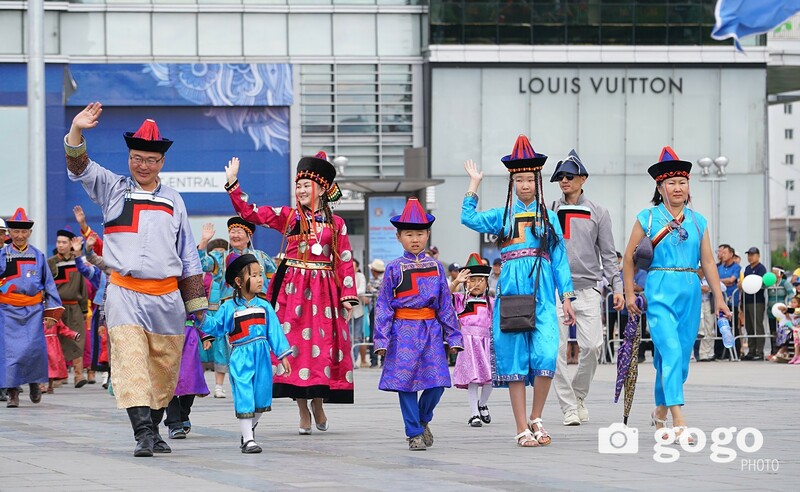 Because the Old Mongols lived in an environment where survival skills were always of the highest importance, it was a matter of course that they should develop excellent tools, both civilian and military. One piece of equipment that was of great significance in battles as well as in the daily life of the Mongols was their composite bow. Perhaps this bow is not quite as well-known in the West as the classical English longbow, which was the best bow ever to emerge in Europe. Yet the Old Mongolian bow was incomparably superior to everything seen in the West. Not until the advent of breach-loading firearms in the 1800's was the Mongolian bow decisively surpassed as a long-range shooting tool. There are people who claim that the Old Mongols could shoot and hit their target over truly astonishing distances. Gongor Lhagvasuren, Deputy Director at the Mongolian National Institute of Physical Education, has written an article called "The stele of Genghis Khan." There, Lhagvasuren refers to an ancient inscription on a stone found in the basin of the river Kharkiraa, a left tributary of Urlengui River which flows into the trans-Baikal river Erdene. The text of the inscription, supposedly dated from 1226, may be interpreted as follows: "While Genghis Khan was holding an assembly of Mongolian dignitaries, after his conquest of Sartuul (East Turkestan), Esungge shot a target at 335 alds" (536m). Lhagvasuren draws the conclusion in his article that such feats were rather common for Mongolian archers during the 1200's, and writes: "This case illustrates the strength, accuracy and sharpness, physical prowess of the Mongols who lived more than 700 years ago." Whether or not we find it likely that Mongolian archers could regularly hit their targets at the distances Lhagvasuren claims they could, there is no question that they and their and bows are outstanding in all of archery's history. Archery in Mongolia today is a national sport practiced by men and women of all ages, and is one of the Three Manly Games of the Mongols. The youngest archers at Naadams are regularly 5-6 year olds, whilst the eldest are easily in their late 70s. 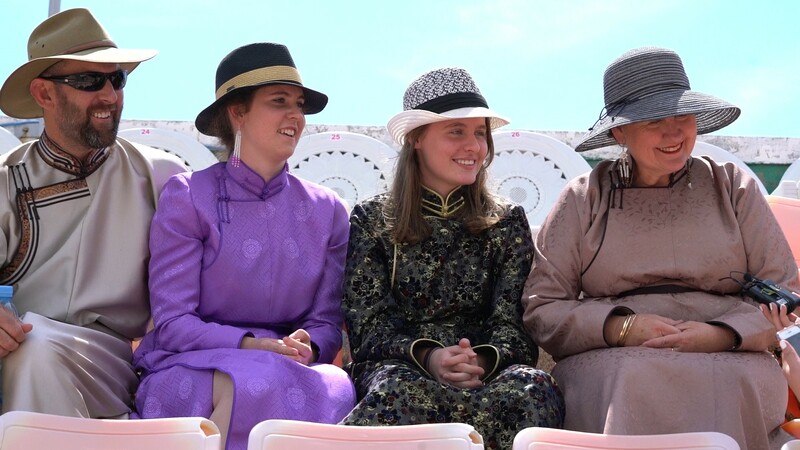 Mongolian Archery Association was formed in 1940s to develop Mongolian archery sports and support archers, and the winners of the state Naadam started receiving national titles in 2003. 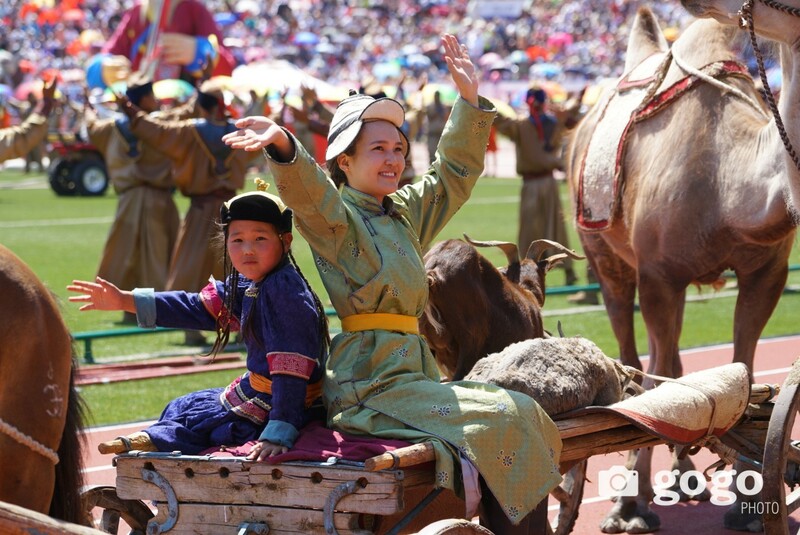 Due to various ethnic groups inhabiting in various nature zones, Mongolian archery’s further divided into 3 categories such as Buryat archery, Khalkha archery and Uriankhai archery all included in the Naadam Festival. 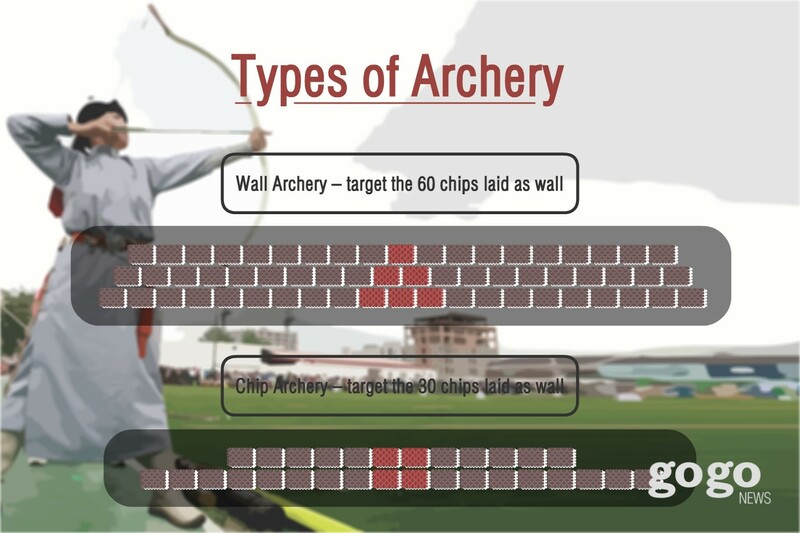 The difference between these categories is the range of targets (30-75m) and number of arrows shot as well as specific techniques used. 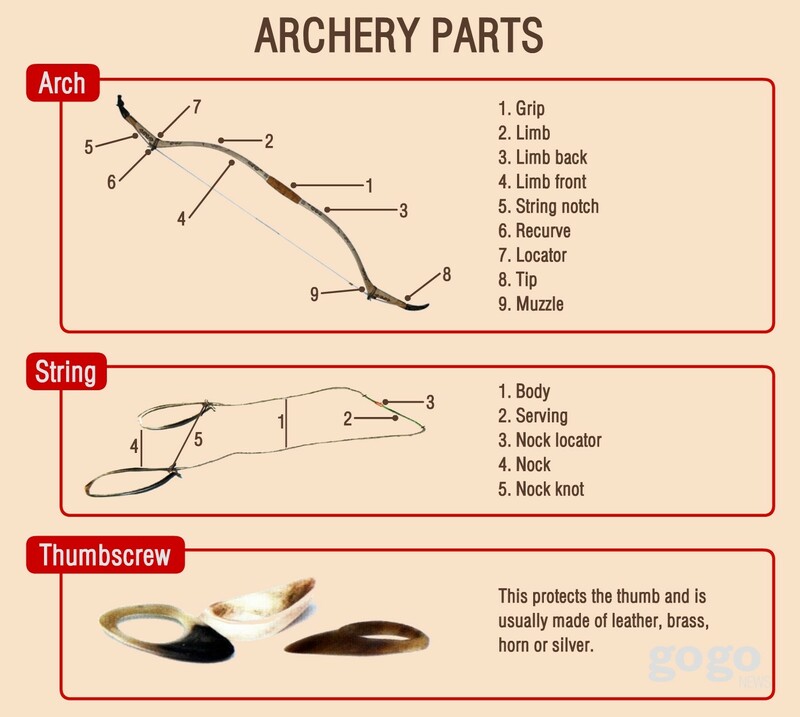 The Mongolian draw, or thumb draw, uses only the thumb, the strongest single digit, to grasp the string. Around the back of the thumb, the index and/or middle fingers reinforce the grip. 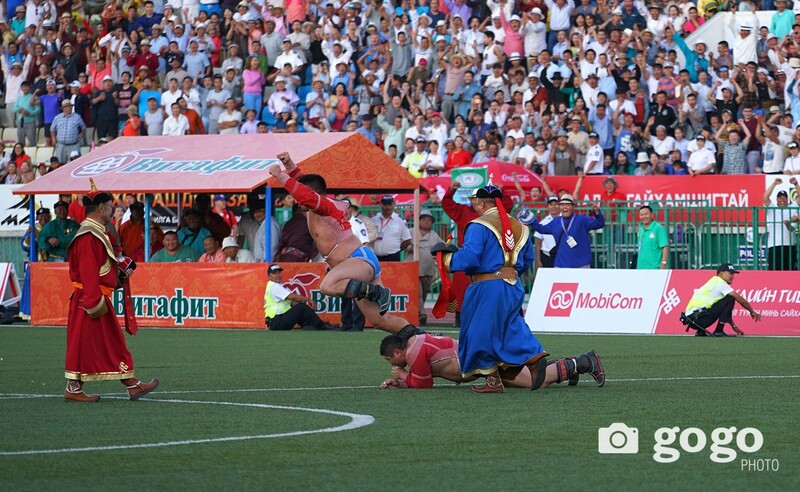 3rd time winning the Naadam: outstanding champion / gots mergen and so on. Archers also can earn titles at regional or provincial Naadams. Archery of the Naadam takes place at the Archery Fields (150m from the Central Stadium to the south) and free of charge.